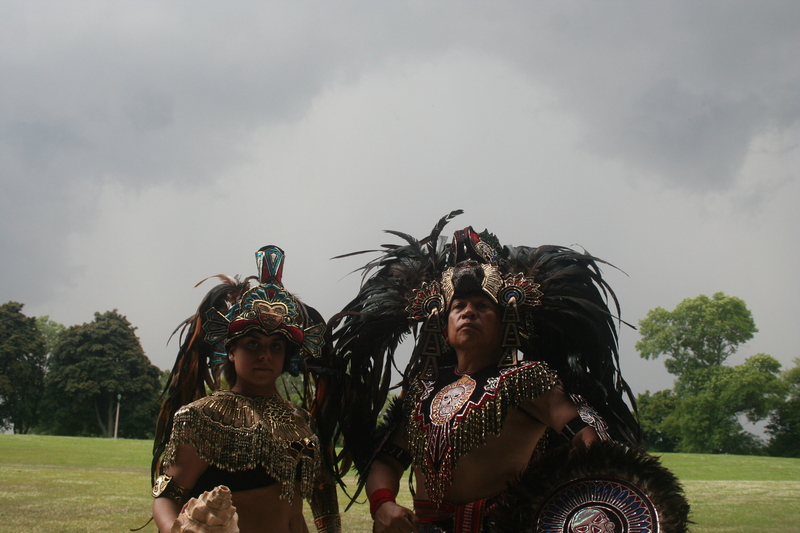 As storm clouds gather over Humboldt Park, Carlos Avila and Erika Coria dance and teach a group of youngsters. Avila and Coria are part of Ballet Folklorico Mexico de los Hermanos Avila, a dance company that teaches and performs traditional forms of Mexican dance. Today, it is traditional Aztec dance.